Hello again from Kota Kinabalu, Malaysia! I found myself back in the city where Ivan About Town was born. I wrote my first blog entry in Trekkers Lodge, Kota Kinabalu, Malaysia on April 19, 2005. 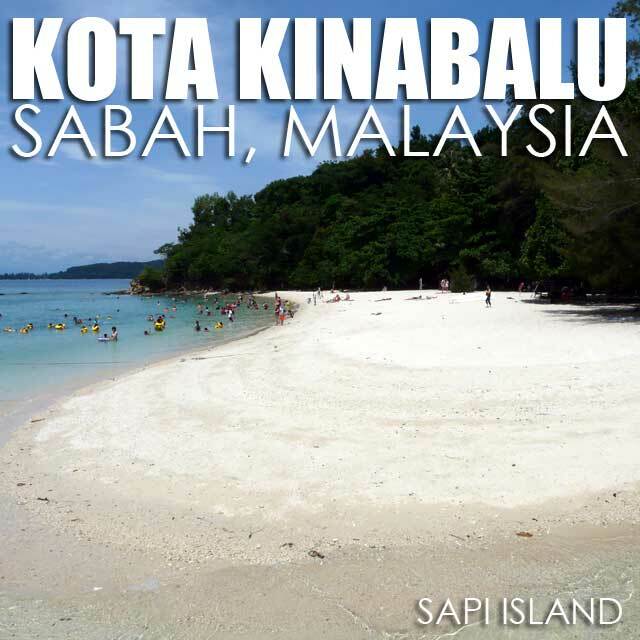 Sabah then was such an exotic destination to me. It still is now as I discover new places outside Kota Kinabalu. The Sabah Tourism Board had graciously arranged my itinerary for this trip. From Terminal 2, I was brought to the Novotel Kota Kinabalu 1Borneo which would be my home for the next three days. 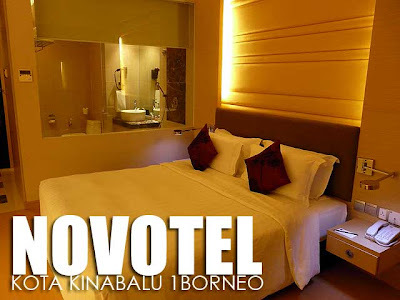 It's several kilometers from the city center but is integrated with the 1Borneo Hypermall together with several other hotels. 1Borneo has a free shuttle service between the complex and major points of interest in the city every 30 minutes. The rooms are very chic and modern with really comfortable beds. And there's free LAN Internet access in the rooms which is obviously very important to me. Breakfast was a feast. And I enjoyed in particular the roti canai and other local dishes that is included in the international breakfast buffet they serve every morning. I was guilty of a food binge almost everyday. During this visit, I got to return to Manukan Island and visit another island in the Tunku Abdul Rahman Park called Sapi Island. I also got to visit the Klias River in search of Borneo's Proboscis Monkey. I'll talk about that in my next posts. awww...trekkers lodge! that was my home in KK for 2 months. isn't KK just laid back and beautiful. they have a saying that onc you have tasted the waters of KK you'll always keep wanting to go back. thanks for reminding me f my happy place!! It's a pity Trekkers Lodge closed shop. I would have wanted to have a photo taken in the reception counter where their computer was located. yeah it is sad. i think I took a photo of every nook of that place and gave it to my Itay Joel who managed the place. there's a new hotel where it used to be.